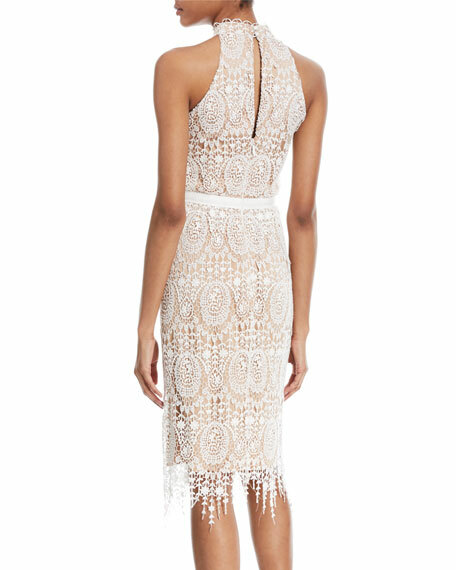 Catherine Deane "Katana" crochet fringe dress. Born in Ireland, London-based designer Catherine Deane has received acclaim for her ethereal cocktail dresses and evening gowns, as well as for her bridal collection. 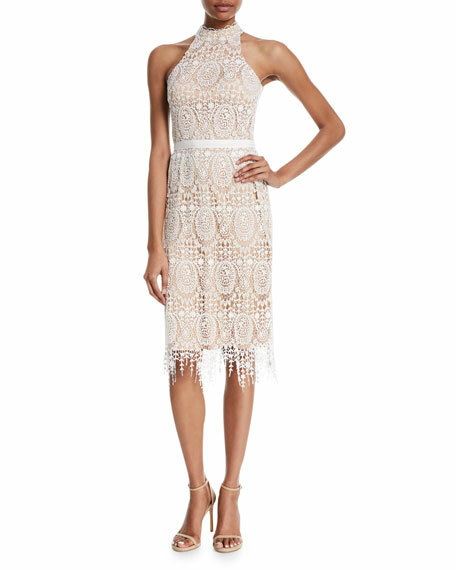 Her dress designs are best known for their femininity with an edgy appeal, mixing lace, tulle, and leather. Educated in South Africa, Catherine takes inspiration from forgotten craft techniques and the array of countries with which she shares a history. Whether it's dresses or separates, the signature Catherine Deane garment is breathtaking with the sensuous use of fine fabrics. For in-store inquiries, use sku #2518140.